What would it cost you? : Nothing at all! Well, initially at least. Read on for more info. Is it easy for the average person to use? It is quite easy to use. Will I recommend it to you? I would recommend ClickBank to most users who have an established traffic stream to their websites. ClickBank is a service that divides popular opinion like no other. There are people who absolutely love ClickBank and then there are people who cringe at the mere mention of it. I have spent enough hours figuring out how ClickBank actually works and one thing I can say with absolute certainty that ClickBank is not a scam. It’ doesn’t rip you off. People who label ClickBank as a scam are mostly the ones who don’t know how to use it, or those who expect a whole lot different from what they actually offer. For making money, ClickBank can be an ideal product-partner. So, what exactly is ClickBank? ClickBank, in their own words, is an online marketplace for businesses and affiliates. They act as a link between website owners and digital content creators (blogs, forums, reviews etc) like you and I and businesses who want to sell their products. Think of ClickBank as eBay of the digital marketplace. Well, the comparison may sound a little farfetched. However, that’s not entirely the case. ClickBank, by the end of 2014, are said to have generated and handled business worth $2 billion. That’s an astonishing number for sure. ClickBank works through you. Literally. When you sign up to become a clickbank affiliate, you will be given a unique username and affiliate ID. Mind you, the membership is ENTIRELY FREE. This means you don’t have to pay at all while signing up for affiliate program. In fact, I have made some money off ClickBank (not too much, but that’s okay) and I have never had to enter my card details on ClickBank. Once you sign up for ClickBank, then you get an infinite access to the ClickBank marketplace. Suppose, you run a blog/ website focusing on the niche ‘Aquariums’. Now once you are in the ClickBank marketplace, just search for ‘Aquariums’. You will get a list of companies selling digital products from that particular niche. Choose the one that seems to be popular, authentic, useful and pays good commission. Now, when you choose this product, you will get your affiliate link and html code to embed in your blog/ website. Voila. You are done! It’s that easy. So, whenever a potential customer clicks this link on your website, he will be taken to the product page on ClickBank and when the purchase is through, you will get paid the pre-set commission. For every product sold through ClickBank, the share that ClickBank would get will be 7.5% of the sale amount + $1. That’s how it is free, but not really free. 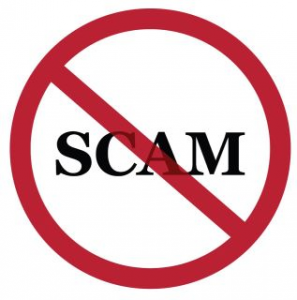 Since they never ask you to pay for their basic services of offering affiliate links, they are indeed not a scam. You can sign up for a free basic account and still make money off ClickBank. Earning Potential: How to make money on ClickBank? It’s really difficult to estimate the earning potential of ClickBank for me because I have never given it a real go myself. I have come across people who claim to have earned thousands of dollars off ClickBank over the years. The best thing about ClickBank is they have a huge base of businesses that are willing to partner with you for handsome commissions (top ClickBank products offer as much as 75%). So, unless you have a really rare niche, you are guaranteed to find good products to promote. ClickBank affiliates are scattered across the world and you can easily find the products that can be targeted to the visitors at your website. Wealthy Affiliate to the rescue! Once again! I have already written a Wealthy Affiliate Review. which you can read Here. I have learned so much during my time at Wealthy Affiliate, not just from the step by step training but from the wonderful people of the Wealthy Affiliate community. I have been with Wealthy Affiliate for less than 3 months and the techniques I have learned so far have already managed to garner some satisfactory traffic to my website. This is why it’s important to use services like ClickBank in conjunction with Wealthy Affiliate. 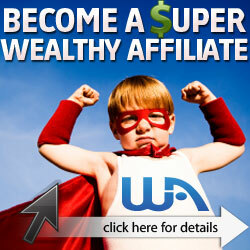 With Wealthy Affiliate, you get to learn ways to build a good website to attract a constant stream of people. Once you have returning website visitors, any kind of marketing you opt for will have an impact on your website. So the point is, the first step towards making regular money doing affiliate marketing is to have a website that people find worth visiting. This can be best achieved using Wealthy Affiliate. If you would like to see how easy it is to make your own website, you can read my report Here. Once you have a website and are getting some traffic to your site, you will find the ClickBank Marketplace useful in helping you succeed with your online venture. Interesting to note, there are other similar alternatives to ClickBank that promote affiliate products, there are actually dozens. Watch for future reviews. ClickBank started to expand into ‘educating’ their users regarding online marketing and affiliate programs. ClickBank University is the paid branch of ClickBank services. After enrolling for the program, you will receive a bunch of webinars, videos, lessons and tools to learn about affiliate marketing and set up your own websites. I personally would recommend Wealthy Affiliate University over ClickBank University because of the depth of knowledge you stand to receive at Wealthy Affiliate. ClickBank University reviews so far have been of mixed nature and personally, I think they are too highly priced. This was an honest ClickBank review. In conclusion, it must be reiterated that ClickBank in itself is not a scam. 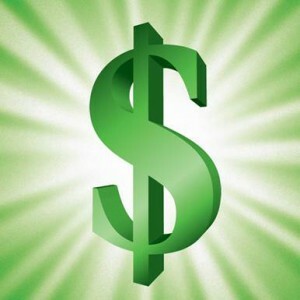 ClickBank membership won’t cost you anything, however, ClickBank University membership will. So instead of going for ClickBank university, I would recommend using free ClickBank affiliate membership with your Wealthy Affiliate websites. 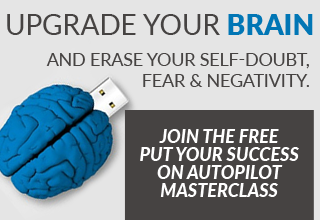 This is a fool-proof strategy that I have tried and tested myself. Also, you have to be really careful while choosing products on ClickBank marketplace. Choose the products that have good reviews and offer good commission. ClickBank product reviews are really helpful and you have to sift through the reviews before choosing a product to promote. This way, you can be sure not to cause annoyance to potential visitors who will be interested in buying the products related to your niche. Finally, is ClickBank a scam? No, ClickBank is certainly not a Scam, but you will need a website and traffic for it to be profitable. If you don’t have your own website, but would like to see how easy it is to build one CLICK HERE. If you have had your own dealings with ClickBank and want to share your experience, you may do so below. I would love to hear any feedback you might have and promise I will get back to you. Kerry thank you for this post on clickbank review. 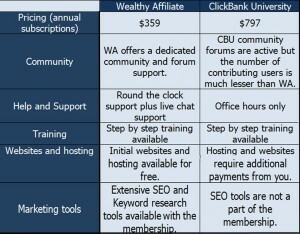 It does look like the better product is Wealthy Affiliate over Clickbank University. Thank you for taking some time and writing this paper. I do think that Wealthy Affiliate is the better learning program when it comes to affiliate marketing. Apart from being cheaper, I just think the affiliate training is better. 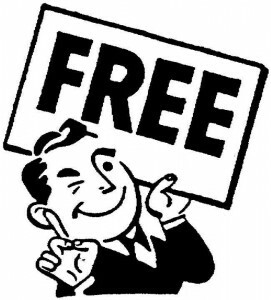 The ClickBank Marketplace (which is free) can be used in unison with Wealthy Affiliate and together they create a win win situation. I am starting to put together my website via Wealthy Affiliates and was wondering about Clickbank and if I should use it or not. Thank you for your insight and honest appraisal, it has been a great help. I have used clickbank in the past, but the one draw back I find with them is the time it takes to get your money. You have to have a certain amount accumulated before you can withdraw it. This is okay for people who have been there for a while, but when you are just starting out, this can be hard. Personally, I like JVZoo, as your money is paid straight into your Paypal account and they have some awesome products to promote. Of course it does depend on your niche ans what sort of products you want to promote. I have never heard of them (JVZoo). I will have do some research. I am not quite there yet as I have only been having a go at this for a few days. Am loving WA and the community, the training they are providing for someone like me that thought the Amazon was a jungle in Brazil until a few days ago is amazing. Thanks again for your help, might bump into you at WA. I have only been with WA for not quite 6 months yet, myself. In my 4 years of online marketing, I have never found a better program. The trick is to take action on what you are learning. I’m sure you will do great! Hi Kerry, Thank you for an example of a very thougtful and through site. You cover so many avenues to success with WA. Sorry i do not have the experience to offer any help to you. I think you have done an amazing job. Best of success in the future. I really appreciate your comments about my site. It is only due to Wealthy Affiliate that I have managed to create it. If you are following the WA program Gary, you will soon have the experience you need to offer it to others.